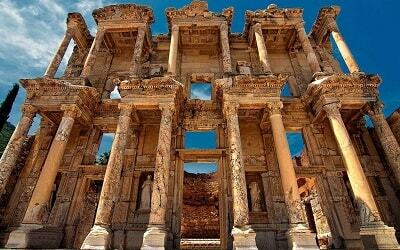 Marmaris Semi Submarine Tour is a perfect fit for you if you are looking for a different and unforgettable day out. 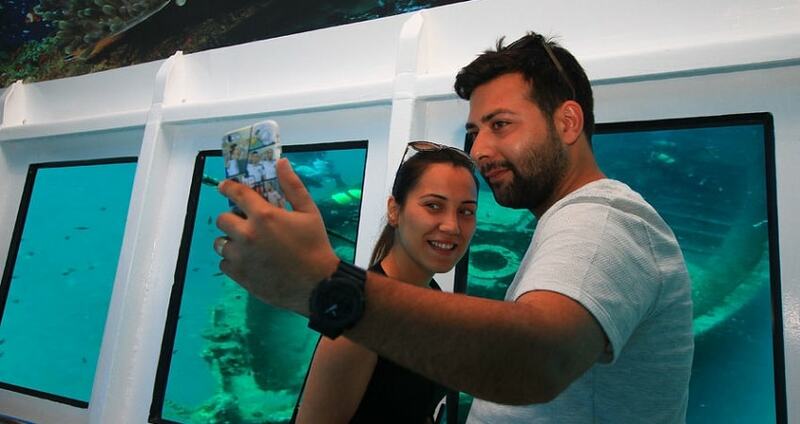 Marmaris Semi Submarine Tour is unique and innovative in many ways, as it gives you the opportunity to explore up-close the colorful underwater world of Mediterranean, without leaving the comfort of a dry and warm environment. Marmaris Semi Submarine adventure starts with a free pick-up ride from your accommodation in Marmaris at approximately 8.40 in the morning. 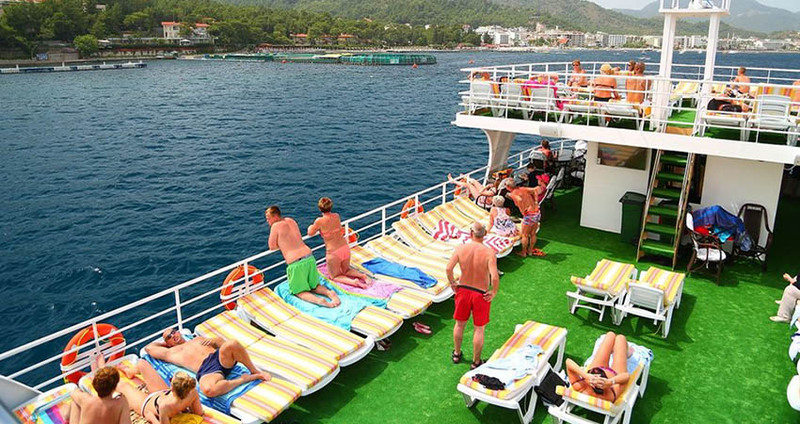 Once we arrive to the Marmaris harbor, you will board our wonderful boat. The boat is 28 meters long, 8 meters wide, featuring special bottom made of glass. The boat also has a specially designed tube, which fits 3 meters into the lower section of the boat. 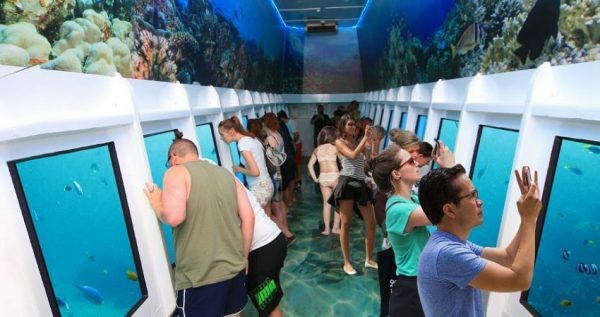 This tube is particularly designed to give its visitors the opportunity to observe the marvelous underwater life. 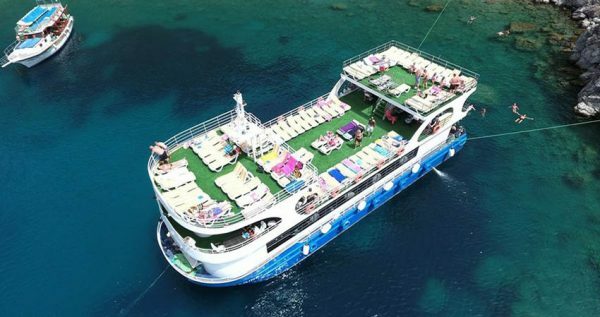 During this lovely tour you will also get to take some great dives, or simply enjoy sunbathing on the boat’s sunny deck. We will take several awesome swim breaks at some of the most splendid bays with clear emerald waters and gorgeous sandy beaches. 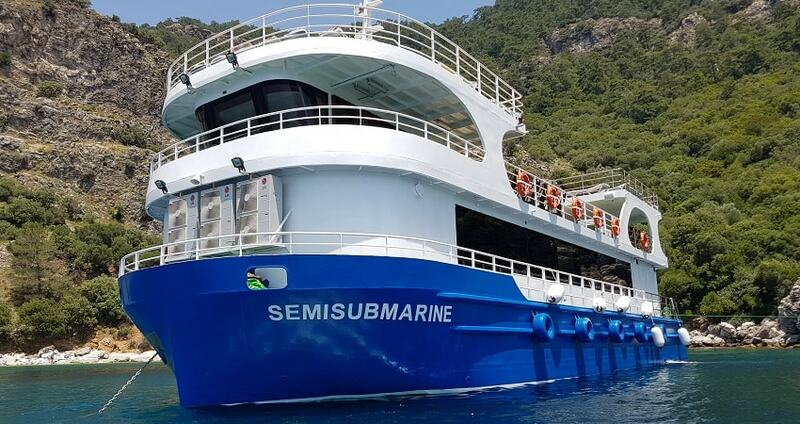 Marmaris Semi Submarine Tour also includes a delicious lunch, which usually consists of barbecue chicken and Mackerel fish, with some salad, rice or chips as a side-dish. 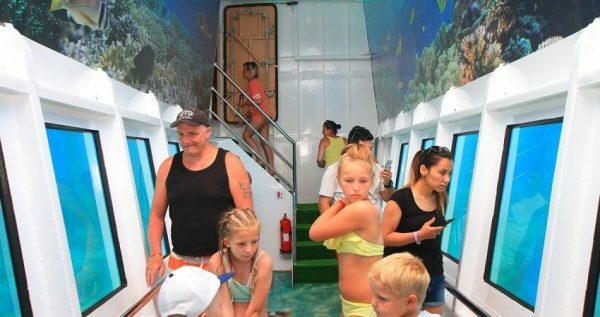 The boat has English speaking crew who will tell you all of the interesting facts about the places we will be visiting, as well as answer all of the questions you might have. Don’t overthink it, reserve your spot on this delightful and fun tour today! If you’d like to have fun with your family, Aqua Dream Water Park might also be a good option. Marmaris Glass Bottom Boat Tour officially starts with our pick up service from your accommodation in Marmaris at about 8.40 in the morning. 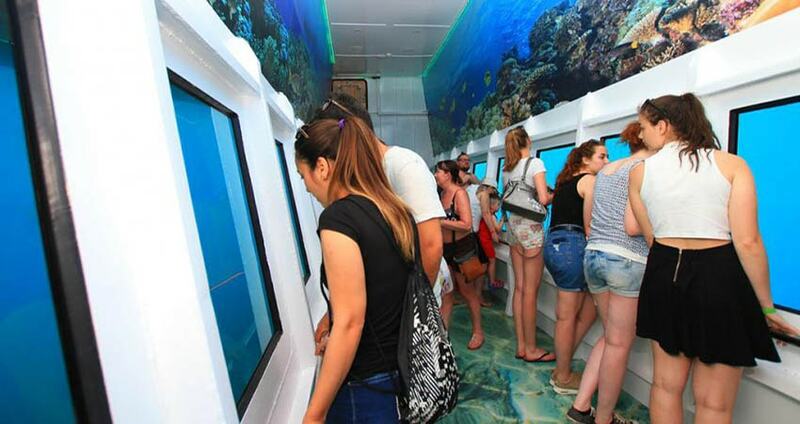 You will go for a brief and cozy drive to Marmaris harbor, where our Glass Bottom Boat will be waiting. The boat is actually a huge yacht with the addition of a specially designed tube at the lower area. 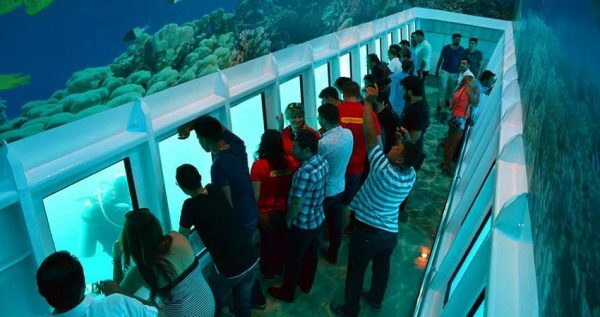 It features glass bottom and big glass windows through which you will be able to observe the underwater wildlife and surroundings. 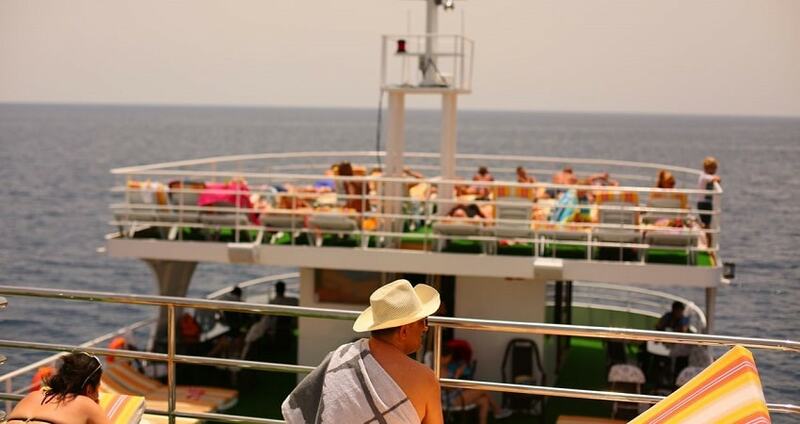 The boat also has all the necessary facilities to make your journey as comfortable as possible, including restaurant areas where you can relax and order a delicious beverage or a tasty snack. We will spend some time in the famous Kadirga Bay. 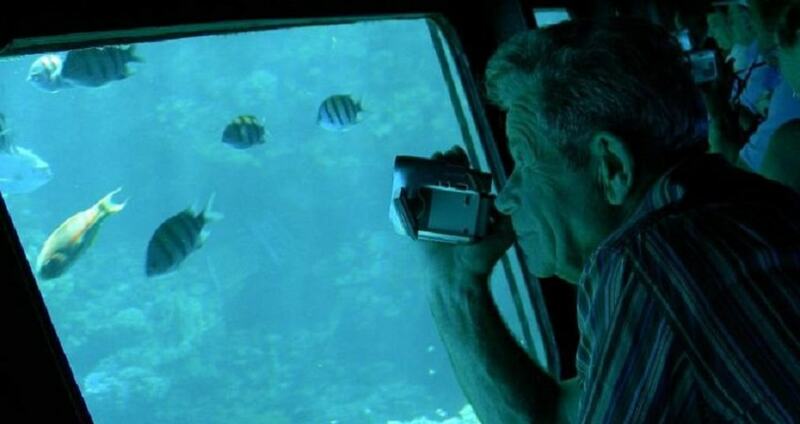 This bay is legendary among experienced divers and underwater explorers and archeologists. Water depths in this gorgeous bay vary from shallows to 40 meters. The oceanic bottom here is fringed with numerous antic objects such as amphorae and anchors. Taking any artefacts from the bottom of Kadirga Bay is forbidden and sanctioned by law. Aside from that, the waters of Kadirga Bay also have an impressive marine wildlife. One of its more prominent residents is a grouper fish, and if you’re lucky enough you will be able to see this big-mouthed hunter up-close. Once we get to the Green Sea, we will take a 30-minute long break. You will be able to sunbathe or take a swim in these emerald clear waters. 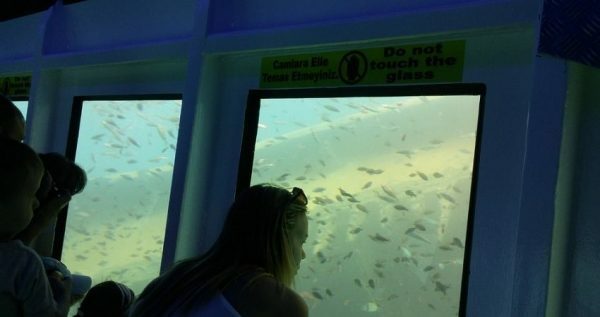 If you want to stay in the submarine part and observe the underwater world, you can opt to do so too. 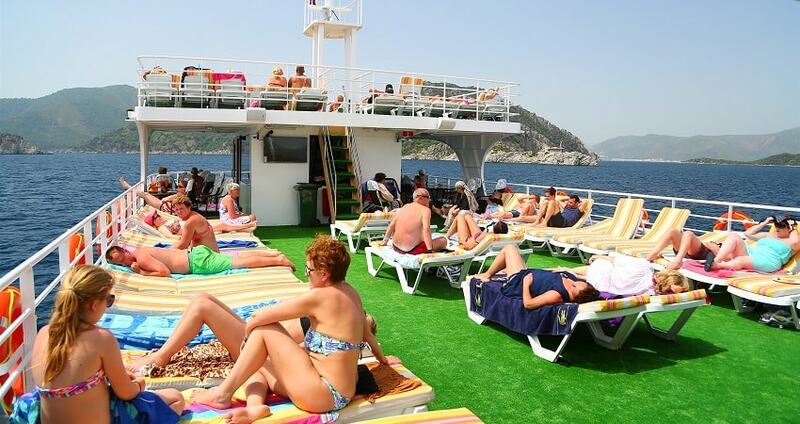 We will also serve a tasty on the boat’s deck, so we can continue our excursion with renewed energy. Among other interesting features of the underwater world of the Mediterranean, you will also get to see a real sunken ship. 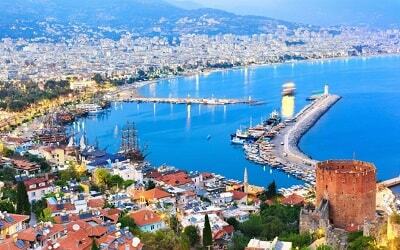 This site is located near the coastline of Marmaris, and it is often frequented by divers. 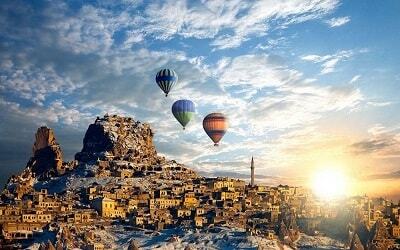 It is truly a magnificent site worth visiting. We will take a longest break at Kizilkum Beach, as this beach is the biggest beach in this area. 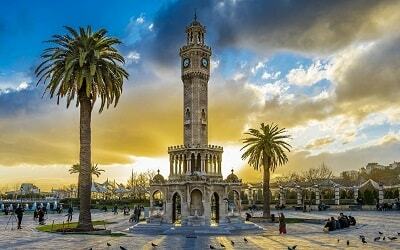 You’ll get a chance to sunbathe on the famous golden sand of Kizilkum and enjoy its calm, blue waters. We will be back in the harbor at approximately 15.30. Our driver will be waiting to take you back to your hotel.